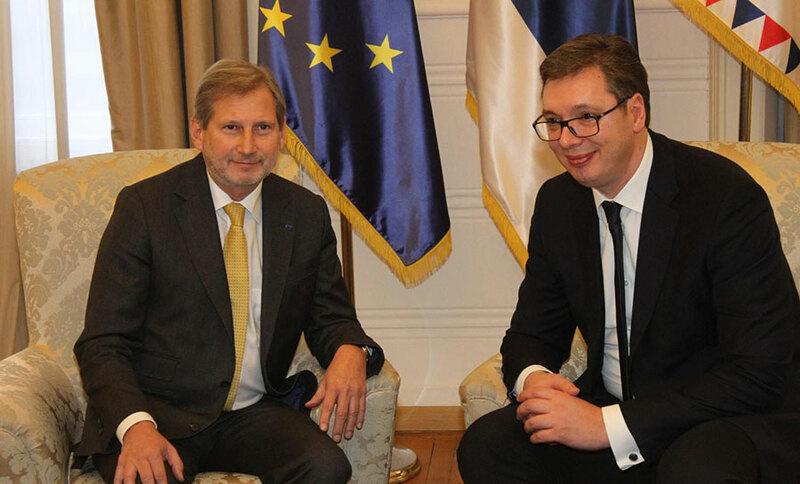 EU Commissioner for European Neighbourhood Policy and Enlargement Negotiations Johannes Hahn visited Belgrade the day after the European Commission had adopted its new Strategy “Credible Enlargement Perspective and Enhanced Engagement with the Western Balkans”. 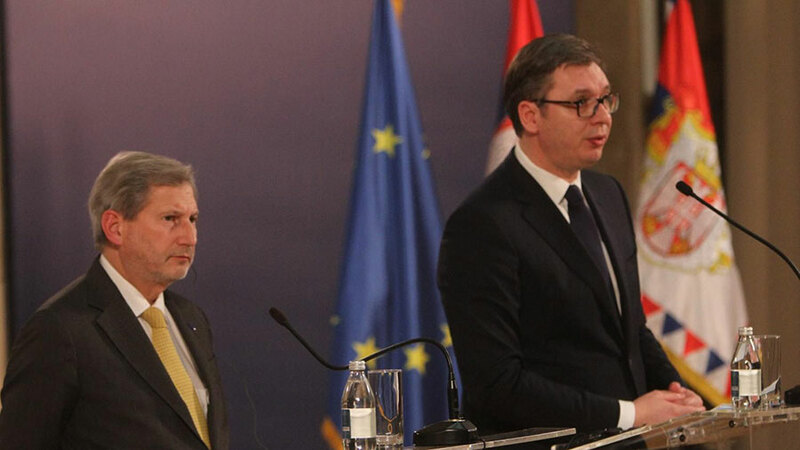 At a joint press conference held with Commissioner Hahn, Serbian President Aleksandar Vucic thanked the European officials by saying that the Strategy “is extremely important as an incentive for citizens” and added that it clearly showed Serbia was faced with the hardest of tasks. He also cited the issues of border demarcation with Bosnia and Herzegovina and Croatia. He said he understood that the EU sees the entire region of the Western Balkans as a single space, but added that he was aware that each country would join the EU based on its own merits. One could brag about Serbia and Montenegro being the frontrunners, but the truth is that what lies ahead are the most challenging of tasks. The President said that Serbia is attracted to the EU mostly because of its values and the promise of improved economic position for citizens, but also because of the fact that the Union is most successful post-WWII peace project which the Western Balkans, as he put it, needs. 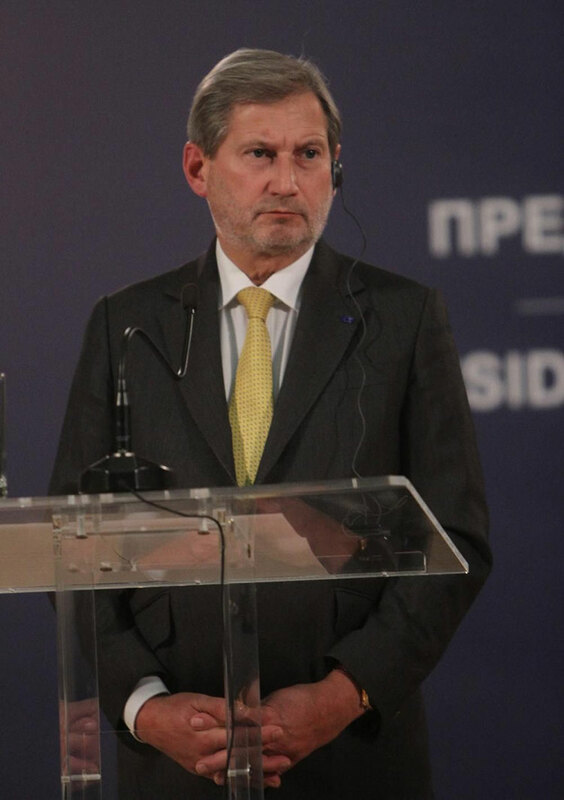 ”For the first time Serbia is given an indicative timeframe for joining the EU and now has a unique opportunity to grasp it,” said Johannes Hahn adding that it’s good news for Serbia and its citizens. “The opportunity is now in the hands of Serbia to make full use of it,” Hahn said. It is necessary, he said, to deliver on reforms, in particular, on rule of law, justice and other rights, adding that reforms are not a paper exercise. 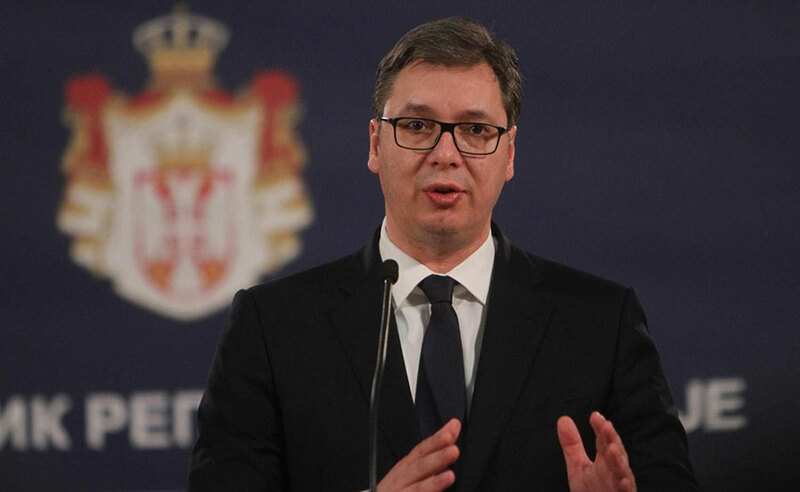 He thanked President Vucic for the internal dialogue he has launched, adding that the dialogue has implications not only for Serbia’s future, but for peace and security of the entire region. Answering a question regarding the timeframe, Hahn said that one should not stick to any dates and that it would be a positive thing to add quality to the dynamics. Pristina should understand the importance of the agreement as well and not to think that the dialogue is solely in the interest of Serbia. The agreement, he said, is in the interest of “the citizens of Kosovo” and their own European perspective. Hahn said that he appreciated President Vucic’s initiative to introduce a moratorium on past issues with Croatia. For starters, he said, two countries should establish good neighbourly relations. “These are two important countries and it’s a good thing for them to have a relationship of respect, relationship that can serve as a foundation for future. I am talking about joint initiatives and actions,” Hahn said. Commissioner reiterated that quality comes before speed and that a legally binding solution should be found, one that contributes to peace in the region, to the satisfaction of all. “There is so much untapped potential. In the past decade, the region has doubled its trade with the EU, reaching EUR43 billion. However, the trade within region has stagnated. That is why regional cooperation is important. I already said that the enlargement is a regatta, not a convoy. It is only natural that some are moving faster and are given credit for it. Serbia is currently a frontrunner, and having a frontrunner is important as they lead the way for others to follow,” Hahn said.